Contemplating the night sky from the top of the largest volcano on Earth is spectacular. Indeed, on the Hawaiian Mauna Kea’s slopes, 13 astronomical observatories reach the universe through their light and radio-wave telescopes. From base to summit, Mauna Kea (33,500 feet) raises taller than the Mahalangur-Himal Mount Chomolungma (29,000 feet) or, as renamed in the 1860s, “Everest.” The Royal Geographical Society, responsible for the authoritarian christening, eagerly sought to immortalize fellow member George Everest, a Welsh prominent topographer, who in youth was Surveyor General of India (1830s-40s). Thus the centuries-old Tibetan tradition of honoring the marvelous Chomolungma with a beautiful native name (of course surreal “Mother Goddess”) was lost. But Mauna Kea, or “The White Mountain” (at times covered with snow), conserved its Hawaiian designation, traceable to the 11th century, and probably to the years 300-500, when Polynesians settled in the islands. The Mauna Wakea synonym, or “Mountain of the Deity Wakea,” is probably a more recent adoption since mythical traditions regarding the landscape customarily develop after the descriptive word-stock. 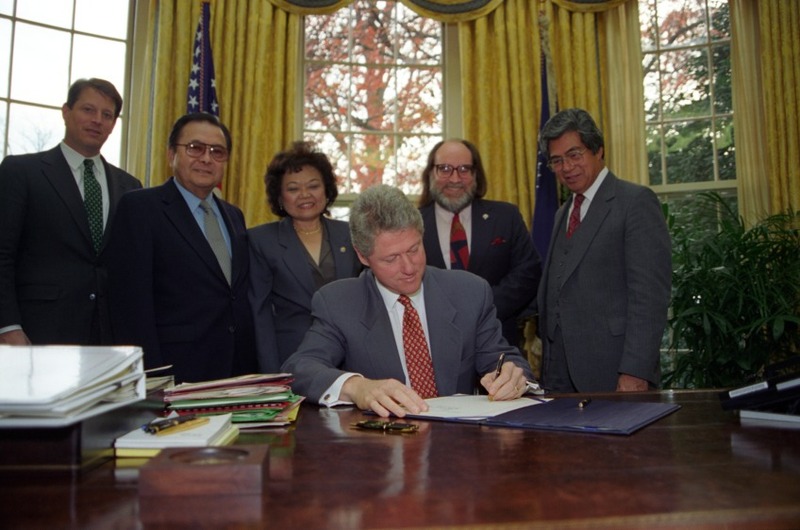 Despite the appalling American and European business-men conspiracy to overthrow the Kingdom of Hawaii (1893), followed by a short-lived pseudo-sovereign republic (1894-98), an annexation as territory to the United States (1898), a granted statehood (1959), and a final Apology Resolution by the US Congress (1993) –which was co-signed by President Bill Clinton— for the “deprivation of the rights of Native Hawaiians to self-determination,” the ancestral cultures reverberate in contemporary Hawaii. Mauna Kea’s volcanic foundations emerge from the mantle, deep below the Pacific tectonic plate. A hotspot fuels with magma the islands in the Hawaiian Ridge, and these “huge masses of interconnected rock” move slowly –at the speed our nails grow— toward the Northwest. 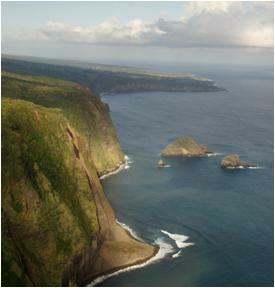 The Big Island (0 to 600,000 years old), the newest formation and where Mauna Kea is located, rests on the hotspot, while the remaining smaller islands of the Maui cluster (1-2 million years old), Oahu (2-4 million years old) where Honolulu is situated, and the Kauai cluster (more than 5 million years old) continue to erode and sink away from the hotspot. The current archipelago is destined to disappear under the ocean and, if the hotspot remains active, to be replaced by new islands. Hawaii is an exemplar of the reality of an evolutionary tectonic process. Regardless of the sporadic snowy peaks, the atmosphere over Mauna Kea is cloudless most of the year, free of high-elevation particle pollution and very dark with no artificial-nightlight influence, key factors for telescopic observations. 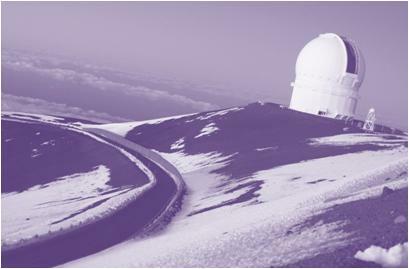 And $2-billion in infrastructure and equipment have been brought to the summit by a dozen countries which work in partnership with the University of Hawaii, active manager of the “Astronomy Precinct” within the Mauna Kea Science Reserve. 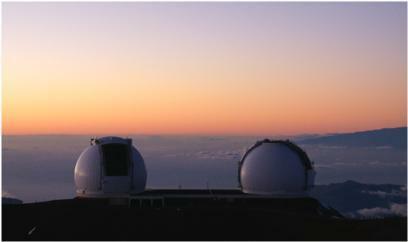 The Mauna Kea telescopes look grandiose in close proximity. Their white and silver domes stand out at twilight while waking up for their night runs: in 1968-70, the University of Hawaii built the first two large observatories (UH 0.9-m educational telescope and UH 2.2-m telescope); followed by the NASA Infrared Telescope Facility (1979), Canada-France-Hawaii Telescope (1979), UK Infrared Telescope (1979), James Clerk Maxwell Telescope (1987), CALTECH Submillimeter Observatory (1988), Very Long Baseline Array (1992), Keck I and II (1993-6), Subaru (1997), the Gemini North (1999), and the Submillimeter Array (2002). 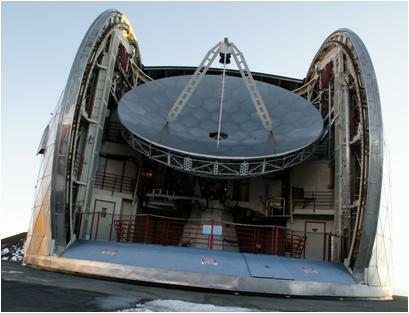 These instruments explore outer space under optical, infrared, submillimiter and radio spectra. 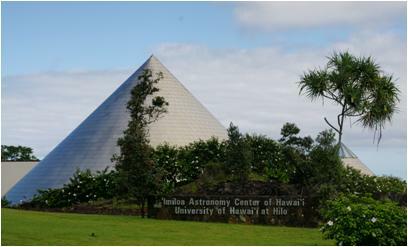 I found much mysticism, however, intertwined with cosmological facts, at Imiloa, an impressive, beautifully colored educational facility, which is advertised as “part science center, part indigenous peoples museum” by the University of Hawaii at Hilo. Imiloa merges scientific knowledge and sacred traditions about “origins” as if they were empirically compatible, but they are not. We do know, for example, that neither the Hawaiian Islands nor humans were created, but that the former emerged from magma piercing its way out through the Earth’s crust, while the latter evolved 180,000 years ago from African ancestors whose descendants, the Polynesians, arrived in Hawaii. And thanks to the Mauna Kean telescopes –plus two millennia of astronomy— we are certain that the universe evolved autonomously, independent from the invention of mythology, and that it will end when the last stars deplete their own fuel. But before the Dim End, all land telescopes will wear off and turn obsolete and, if our species persists over a few more cosmic seconds in the time scale, orbiting-the-planet observatories will likely replace them. Eventually, the shining domes resting on Mauna Kea will crumble while drifting away Northwest on their carrier, the late “Big Island.” These magnificent pieces of engineering will sink in the Pacific, as archeological relics, when the summit of Mauna Kea succumbs to erosion, hence following the drowning fate of the Hawaiian Islands. – © 2012 by Guillermo Paz-y-Miño-C. all rights reserved.